I am all about spending time outdoors in the summer. 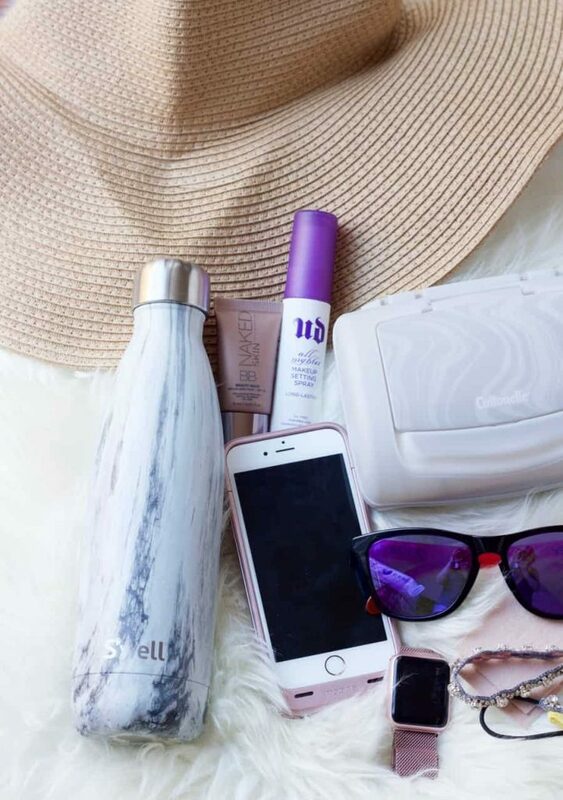 When it comes to outdoor concerts, I am ready with my must-haves. 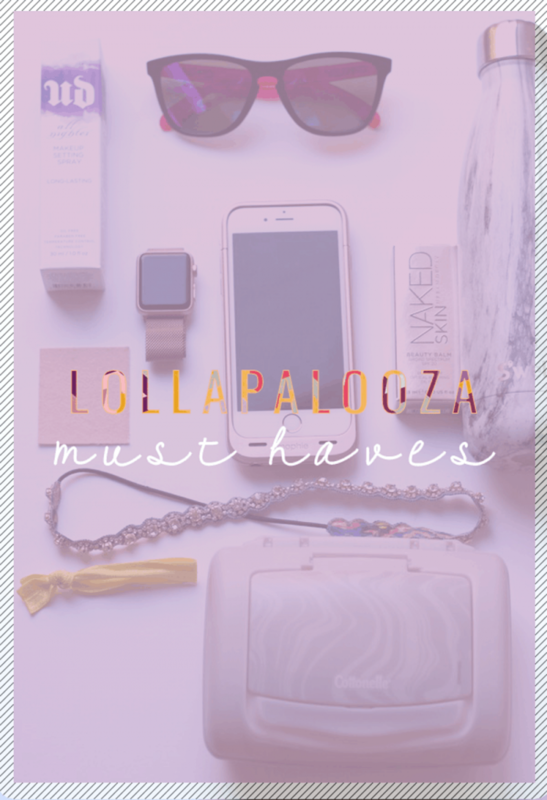 Today I am going to share my Lollapalooza Must Haves, plus give you a chance to win my favorite items! IPHONE WITH CHARGING CASE When you are going to be outside all day, it’s important to bring your cell phone with you. Of course there won’t be any chargers at an outdoor concert, so bring along a fully-charged case or external battery. I am loving my Mophie case. Even though it adds weight to my slim phone, it’s worth it for the extra battery! IWATCH I know this not an absolute necessity, but I love my iWatch. I found that I don’t normally hear my phone when I am out and about, so the iWatch really comes in handy. When you are at the concert, it might be pretty hard to hear your phone, so the iWatch will vibrate your wrist if your friends call or text you! SUNGLASSES Right now I am rocking a pair of custom Oakley Frogskins. Last Christmas, my husband and I each made a custom pair at the Oakley store and we haven’t taken them off since. They are bright pink and purple pair, and I love them! 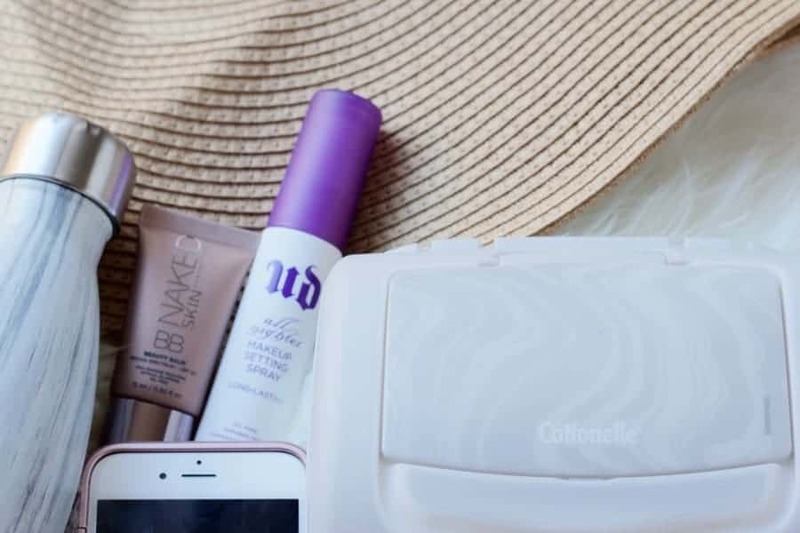 URBAN DECAY BEAUTY BALM Sunscreen is a necessity! This Urban Decay Beauty Balm blurs for flawless skin, and has SPF 2o. 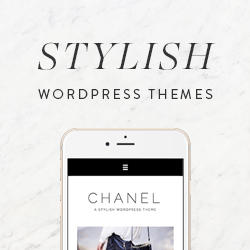 It comes in one universal shade, so it’s great for all skin tones. Plus, this one is a travel size so it will fit in your bag during the concert! URBAN DECAY SETTING SPRAY How have I lived my life without setting spray? I just started using this Urban Decay “All Nighter” spray this year and I am addicted to it! I used to think that primers were the hard workers when it comes to keeping your makeup on all day…NOPE! The secret is setting spray. This one doesn’t leave your skin sticky and you can reapply during the day. HAIR TIES AND HEADBAND If you are going to be outdoors, prepare yourself. I like to throw in a hair tie and headband, just in case it’s super windy. SUN HAT If headbands and hair ties are not your thing, bring along a collapsible hat! MOLESKIN When walking around to each stage, your feet might take a beating if you are wearing uncomfortable shoes. Bring along some sticky moleskin fabric to cushion your feet. TOILET PAPER Trust me, I bet you didn’t think of bringing wipes for your bum. The bathrooms at outdoor concerts can be a little dingy by the end of the night. Heck, that bathroom might not even have toilet paper in it! What’s a girl to do? Bring along Cottonelle® with CleanRipple® Texture. Cottonelle® with CleanRipple® texture is designed to clean better, so you’re clean and confident enough to go commando. Cottonelle® is a proud sponsor of Lollapalooza, going on now in Chicago. But if you can’t make this weekend’s festival, Cottonelle® has you covered. Cottonelle® is holding a sweepstakes for a chance to win an all-inclusive trip to Wanderlust 108 Festival in Miami (October 22). 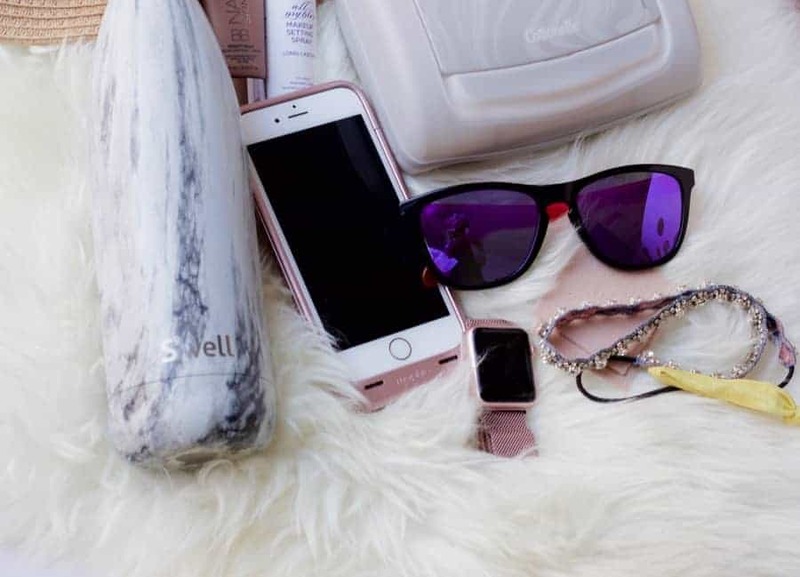 Giuliana Rancic picked out her favorite items (above) to get festival ready, and we are giving a lucky winner the whole kit! Cottonelle® Festival Must Haves Kit ($50 ARV). Cottonelle® with CleanRipple® Texture keeps you clean so you can rock out confidently this summer.